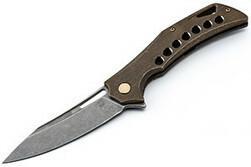 Olamic Cutlery was started in 2010 in California by the Solomonic family. 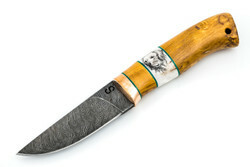 They began with Damascus fixed blades made in Russia and as the brand grew they expanded into folders made in the USA. To build these folders at a world class level they brought in ABS MasterSmith Michael Vagnino and built up a small facility in Visalia, CA. These folders were almost entirely one offs and handmade using modern materials, painstaking craftsmanship and the best equipment they could find. 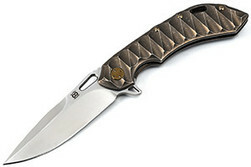 As the brand continued to grow they expanded into the midtech line with the Olamic Wayfarer 247 being the inaugural model. This line has parts machined in outside machine shops then hand finished and fitted at their same shop in California that makes the customs. The level of customization and the fit and finish of these knives rivals many of today's customs at a much more appealing price. If you're looking for a folder that works like a finely tuned Swiss watch with almost limitless customization and creativity in design then look no further than Olamic Cutlery. 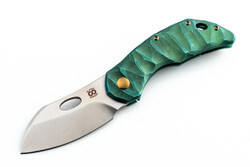 Look on forums and talk to your knife loving friends familiar with Olamic - they will tell you they know these are some of the best knives currently available. This Olamic Cutlery for sales is covered by a lifetime warranty with spa service available for a lifetime of use.